This wonderful home in Fox Park Subdivision has so much to offer. The main level has an open Living room with cathedral ceiling, Dining, and Kitchen area, great for families and entertaining. The kitchen has a large center island with counter height seating and a very spacious separate dining area. The main level also includes a laundry room and 1/2 bath. From the kitchen you exit on to the fully enclosed back patio which leads to the private backyard. 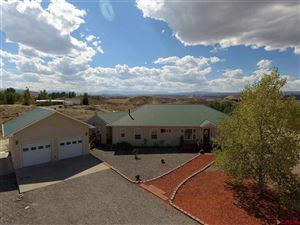 The large Master bedroom, 2 full baths and 3 additional bedrooms complete the second level. 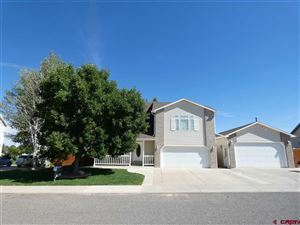 The back yard is surrounded by a 6' privacy fence, has lawn with sprinkler system, fenced garden area and aspen trees. Beyond the back yard is the open and beautiful Fox Park and playground that is owed and maintained by the City of Montrose. This property has a special bonus, a 20x53 shop that includes 240 electrical, 3/4 bath, 30 gallon electric water heater, surround sound, a 9000 lb lift, concrete floor and ample work space. 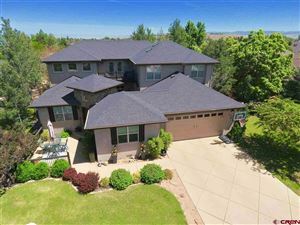 This home and all it has to offer is a must see. Call us for a showing today!